Samsung Galaxy Note 9 is one of the year's best phones, and if you are in sore need of an upgrade or changing the old machine, it is a good option for you. Some upgrades from Note 8 to Note 9 are invisible, like the long battery lift, more memory and better performance. For example, with the power of 512GB storage built in, and up to 512GB expandable storage, you will have almost a 1TB of space for what matters, like more photos, video or music storage. So if you are one of the users who want to watch videos on Samsung Galaxy Note 9, except for some streamed videos, you will need to convert the videos (incompatible with your Samsung) first. Here Any Video Converter Free is highly recommended, as it is one of the best video converters for mobile phones, TV, game console, DVD players and more, which beats the paid video converters, downloaders and editors in the market. Samsung Galaxy Note 9 Video and Audio Playback Format. ✔ Rip and extract audio from CDs and videos. Here is the complete tutorial on how to convert videos to Samsung Galaxy Note 9 compatible videos including MP4, M4V, 3GP, WMV, MKV, AVI, and etc. Step 1: Launch Any Video Converter Free on your PC or Mac. Step 2: Add videos to Any Video Converter Free. Simply click "Add Videos" button to select the videos you want to convert. 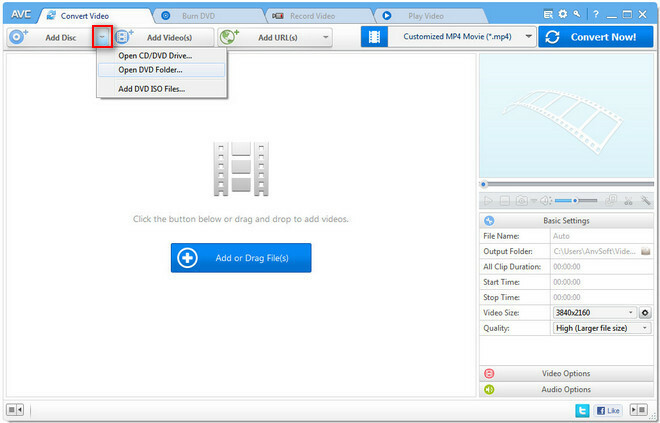 Or you can drag & drop videos to Any Video Converter Free main interface directly. Step 3: Choose the output format. Click the "Output Profile" icon to choose the output format for Samsung Galaxy Note 9 from the drop-down list. 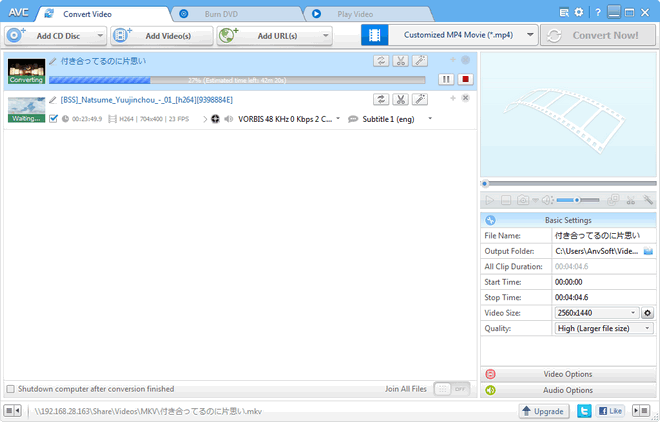 Here you can choose Customized MP4, MKV, Customized AVI, or Customized WMV as the output format. Step 4: Customize the output settings. Go to the right panel to customize the output parameters like video size, video quality, video codec, frame rate, video aspect, and etc. And if you like, you can click to simply edit the video like clipping, cropping, special effects and more. Step 5: Start conversion. After you finish setting the parameters, you can click "Convert Now!" button to start encoding. And after the conversion completed, Any Video Converter Free will open the output directory directly, thus you can check the well converted videos. Step 6: Transfer the converted videos to Samsung Galaxy Note 9. Now you can transfer the converted videos to Samsung Galaxy Note 9 via USB cable, cloud service, or Syncios Manager. 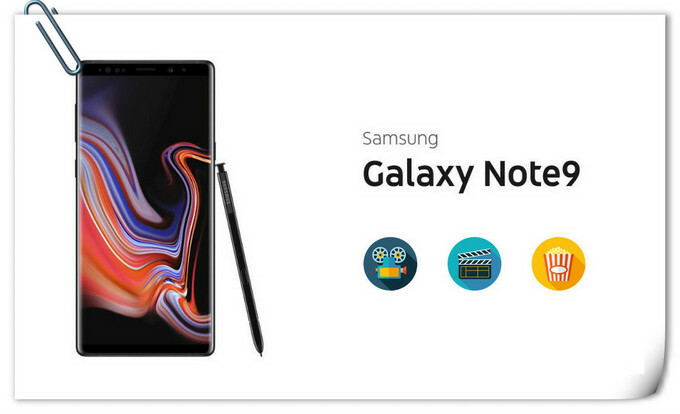 If you want to convert your DVD Disc, DVD folder or DVD ISO images to Samsung Galaxy Note 9 for portable enjoying, you can use Any Video Converter Ultimate to convert them to Samsung Galaxy Note 9 compatible formats like MP4, MKV, WAV, AVI, and etc. 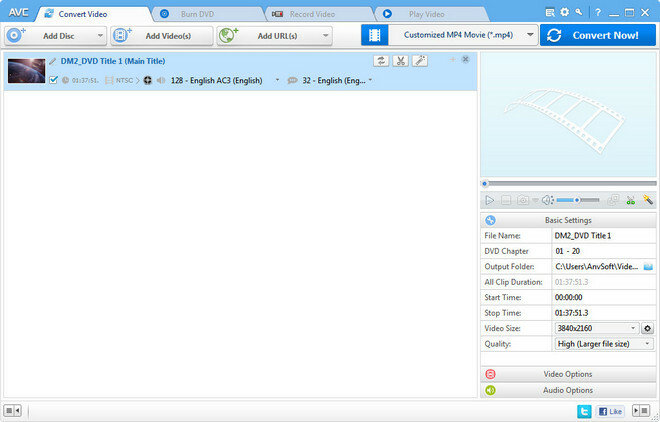 Step 1: Add DVD Disc, DVD folder or DVD ISO images to Any Video Converter Ultimate. If you want to convert DVD Disc, you can insert the Disc to computer, then click "Add Disc" button to select DVD drive to be ripped. 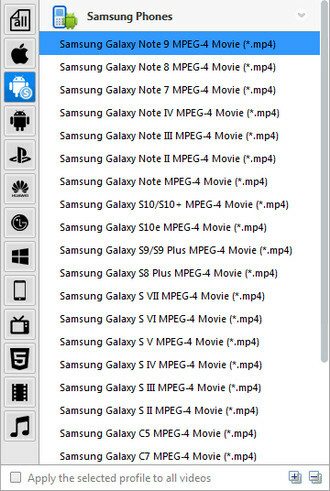 If you want to convert DVD folder or DVD ISO images for Samsung Galaxy Note 9, you can click the drop-down menu button besides "Add Disc" button, and select "Open DVD Folder…" or "Add DVD ISO Files…", then select the whole DVD folder or ISO image file from your computer. Step 2: Choose output format. You can click "Output Profile" button to choose the appropriate output format for your Samsung Galaxy Note 9. 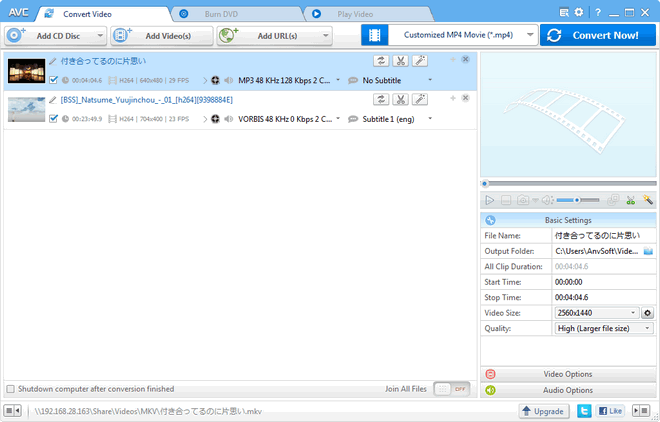 Here you can choose MP4, AVI, M4V, WMV, MKV as the output format. Finally, you can transfer the well converted videos from your computer to Samsung Galaxy Note 9, then you can watch the videos when you are traveling! Simply download Any Video Converter Free and have a try.